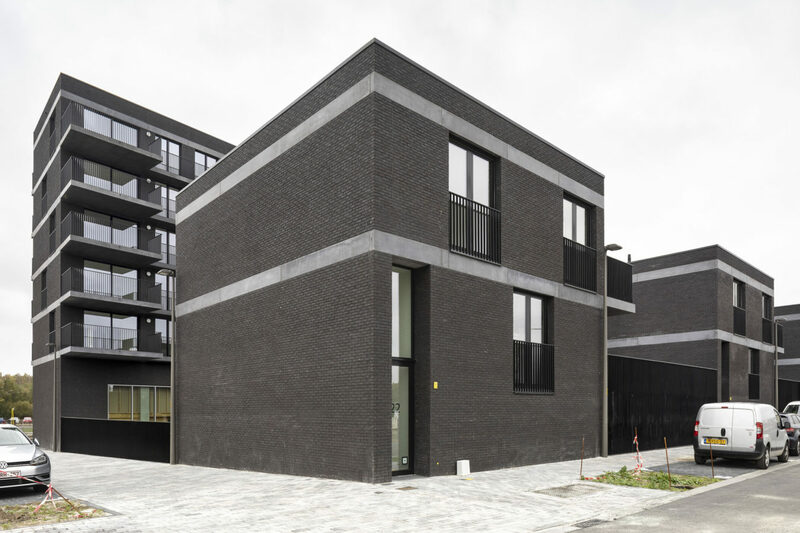 This building complex is part of the new town district Regatta on the left bank of Antwerp. 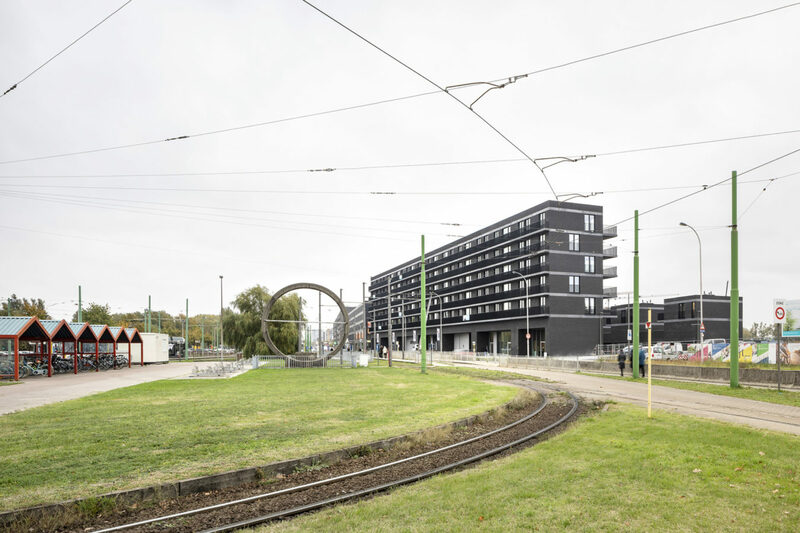 It consists of a slender volume with 6 building layers on the Blancefloerlaan, small and detached volumes on the adjacent residential street, a commercial area for a supermarket and a common private garden. The 9,30 m wide beam volume offers housing with 1, 2 or 3 bedrooms. On the ground floor at the Blancefloerlaan behind the transparent façade there are shops, entrances to the upper flats and to the supermarket. The two 2 bedroom flats are located in the smaller volumes in the residential street. There are bicycle sheds for the residents near the private inner garden. 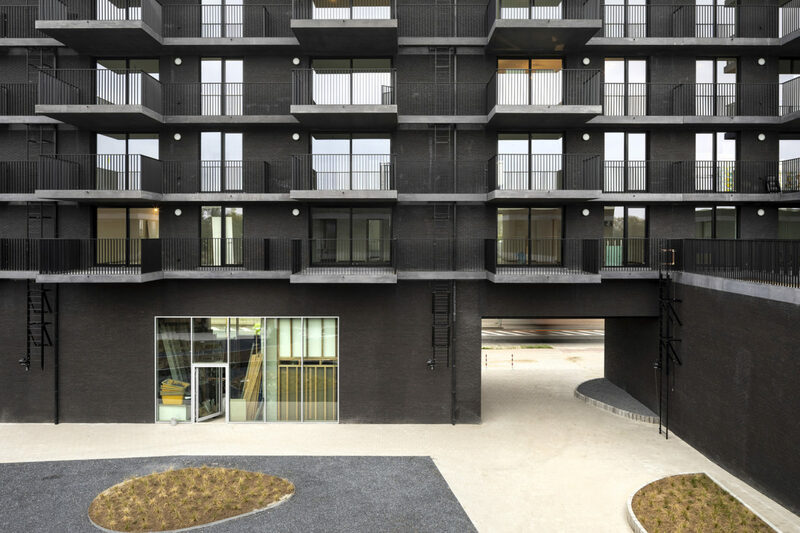 The façades are built with black bricks. 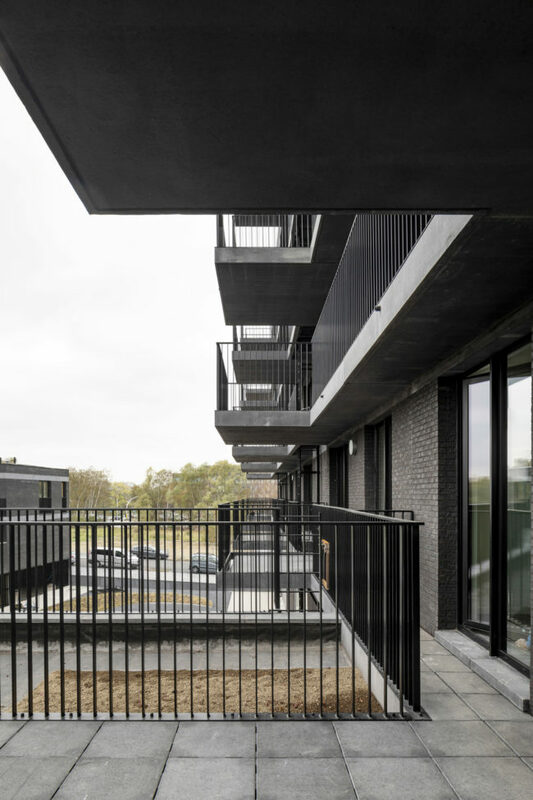 All around the buildings there are outdoor terraces in black concrete thus improving the environmental quality of the flats.